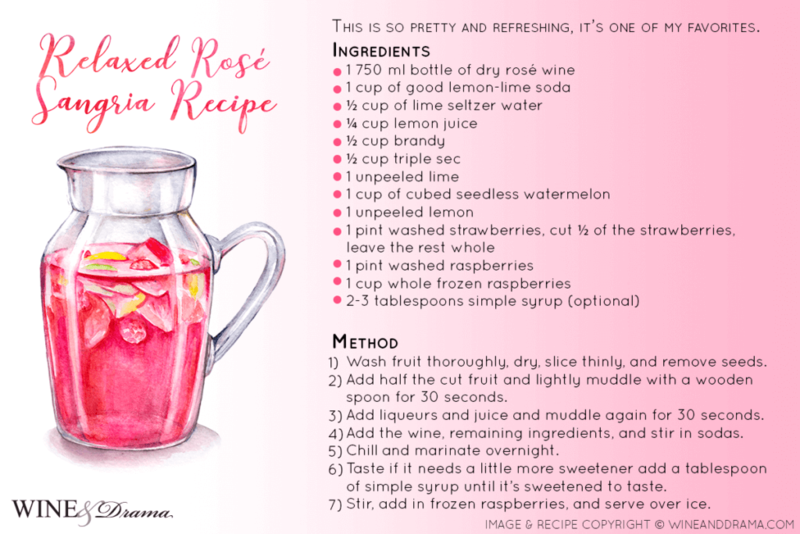 This is so pink, pretty, and refreshing, it’s one of my favorites. Wash fruit thoroughly, dry, slice thinly, and remove seeds. Add half the cut fruit and lightly muddle with a wooden spoon for 30 seconds. Add liqueurs and juice and muddle again for 30 seconds. Add the wine, remaining ingredients, and stir in sodas. Taste if it needs a little more sweetener add a tablespoon of simple syrup until it’s sweetened to taste. Stir, add in frozen raspberries, and serve over ice when ready. If you’re lazy like me I’ve got 7 of the best and easiest summer sangria recipes.